Preheat oven to 400F. 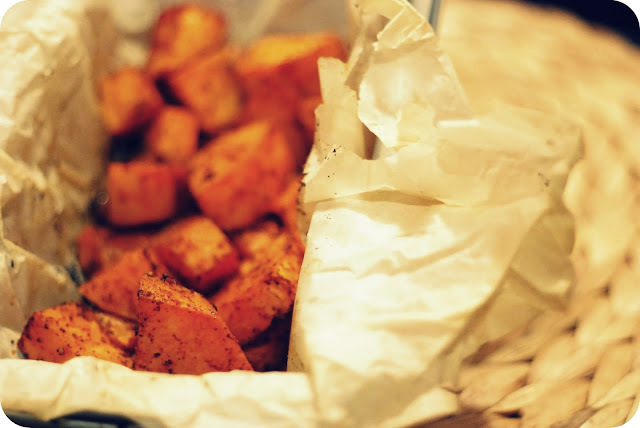 Toss sweet potato cubes with oil and spices. Wrap in parchment paper (papillote/envelope style) and place in baking dish. Bake for 45 minutes. Remove from oven, let cool about 15 minutes before serving.